This year, interestingly, each of my girls put on their Christmas list letters to Father Christmas a pair of shoes. For Lara she has asked for a pair of black patent lace up boots and for Holly, a pair of pink sparkly slip-on shoes. 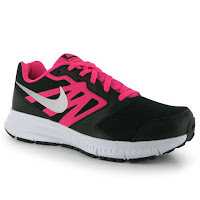 Just to complete the set, even I've put a pair of shoes on my list...all be it running shoes! 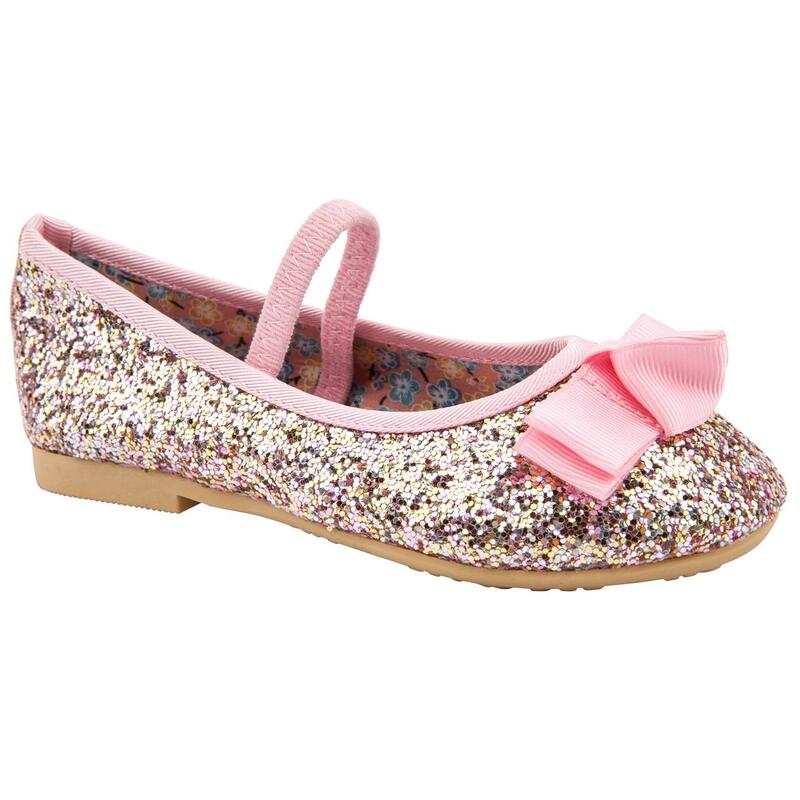 Because we've all gone a little bit shoe crazy, I've been putting together a Christmas list of shoe ideas for the girls and here are my top 6 ideas of fun, show-stopping shoes that my girls would love to receive as gifts this festive season. 1. 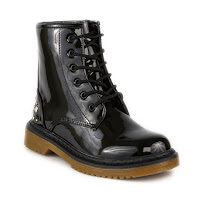 Number one on both girl's lists is a pair of black lace up patents boots. Paired with a brightly coloured set of shoe laces, these are all the rage at school at present. I found a bargain pair at Shoezone for just £12.99 so I wouldn't mind risking the inevitable scuffs at this price. 2. Next up is a pair of Heely roller skate shoes. I haven't seen anyone wearing these for a couple of years but Lara really fancies a pair. 3. Sparkly slip-on pumps. 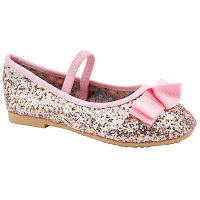 Ballerina pumps regularly feature in ranges of kids shoes these days and they look so tempting as they are easy to slip on and off; I'm sure that they are highly impractical for a 3 year old but they make a perfect combination with a party dress. 4. 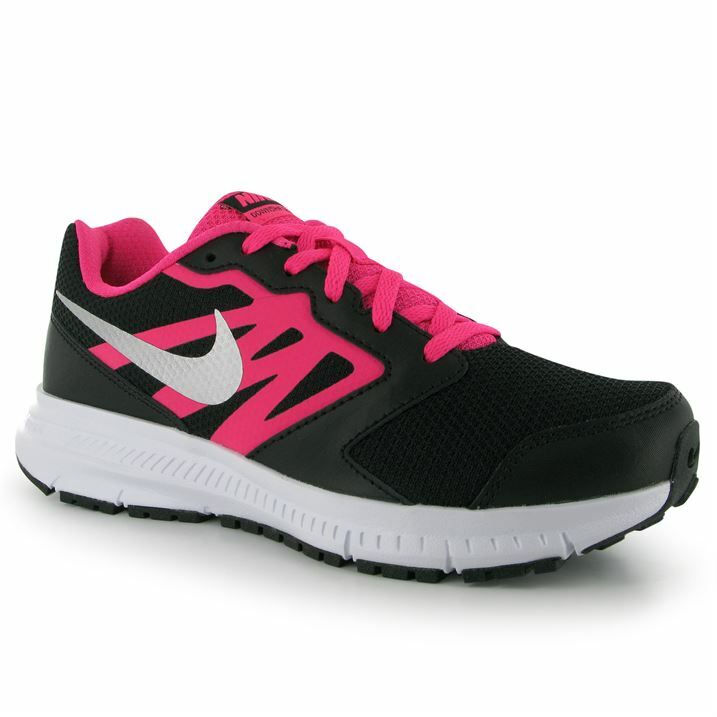 A pair of Nike junior running shoes. Both of my girls want to run like Mummy and I've learned that even little people, if they want to run and avoid injury, need a specialist pair of running shoes. 5. Holly saw these Gruffalo slippers while I was browsing online for something totally different. Neither of my girls normally wear's slippers so these would be a bit of a novelty. Actually... I think I may need a pair of these. 6. 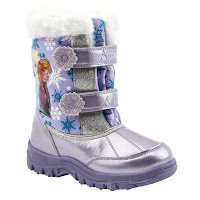 Frozen snow boots. We first bought snow boots for Holly his time last year and, despite having not seen a flake of snow all year, I've been surprised at how much she managed to wear the boots so I'm not afraid to buy a her a new pair this winter and how could anyone resist a pair of Frozen now boots? I found these ones at Brantano.